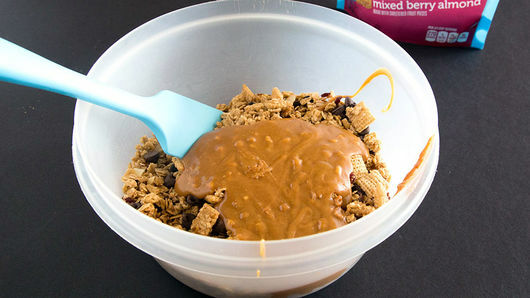 In 1-quart saucepan, stir together 1/3 cup brown sugar, 1/3 cup honey and 1/3 cup peanut butter. Heat to boiling; boil 1 minute. In large bowl, stir together 1 bag Gluten Free Chex™ mixed berry almond granola mix and 1/3 cup chocolate chips. Pour honey mixture over granola mixture; stir until well combined. 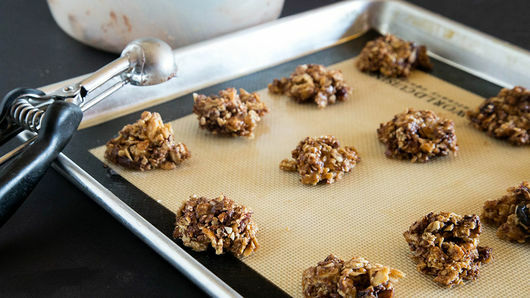 Using small cookie scoop or 2 spoons, scoop small balls of mixture onto cookie sheet. Cool completely before serving. 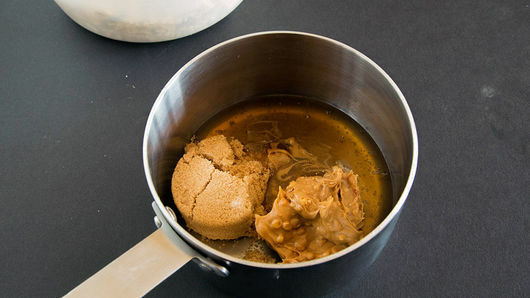 You can use any nut butter (almond, cashew or sun butter) in place of the peanut butter. 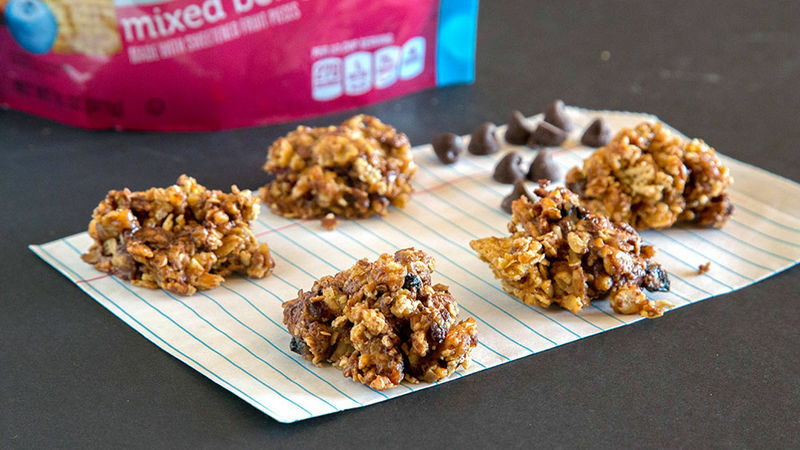 For a healthier spin, use dried fruit in place of the chocolate chips.